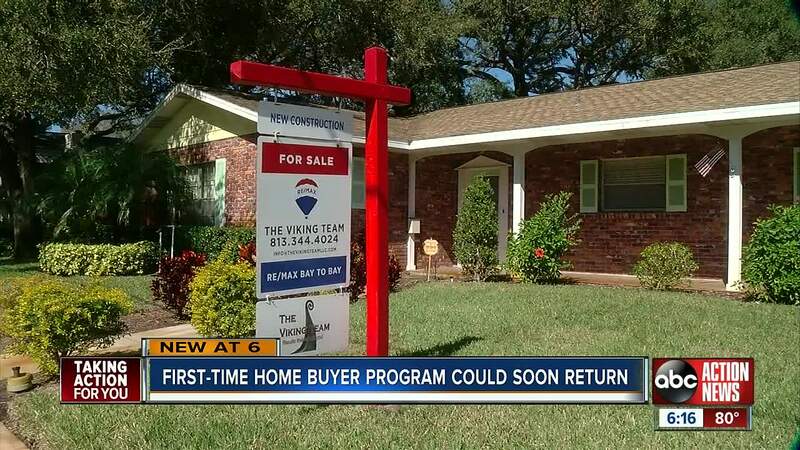 The "Hardest Hit" fund could soon be available for some Florida homebuyers again. "I think it's going to affect Millennials dramatically,” said Smith and Associates Realtor Nick Janovsky. "It gives them extra buying power and it's great for the market. It's great for the economy,” said Janovsky. The federal assistance fund, initiated in February of 2010, made $15k available to first-time homebuyers for down payment assistance. The loan was forgiven after five years if the buyer remained in the house. "I don't think enough people know about it, and I think all homebuyers should know this is an option out there along with FHA and 3.5% down programs so they can get out of paying rents that are continuously skyrocketing,” said Janovsky. He says homebuyers need at least a "640" credit score and must meet certain salary requirements. They also cannot have owned a home within the past three years. Janovsky also says only homebuyers in Hillsborough and Pasco counties would be eligible at the beginning of March. "It was only first come, first serve until the money ran out so it's very fair,” he explained.